When you're working on increasing your domain authority (DA) it can be incredibly frustrating when you notice a massive and sudden decline. Seeing a small dip of 1-5 points is not usually a big deal (updates can make your authority fluctuate). However, if you see a big change, it's normal to feel a bit worried. 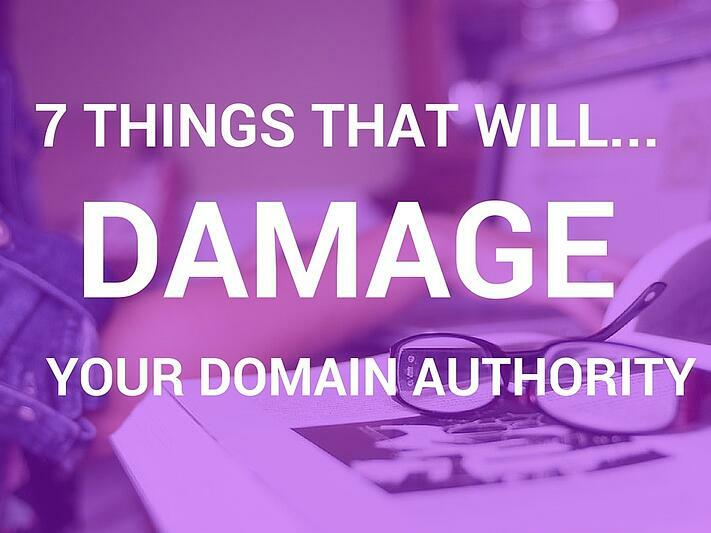 There are certain actions that can hugely damage your domain authority. Are you guilty of damaging your DA? Buying links and other suspicious forms of link building can be damaging for the authority of your domain. Google has said before that being involved in link schemes will negatively impact your site's ranking. This type of link building activity will damage your domain authority and severely knock your keyword rankings too. You need to avoid being involved in any link schemes. You must not buy links otherwise Google will hit your site with penalties. Do you remember this diagram? You've likely seen it in our other blog about how anchor text can damage your rankings. I know I'm cheating a little by using this example again but it's useful. Using rich keyword anchor texts can greatly damage your rankings and DA. 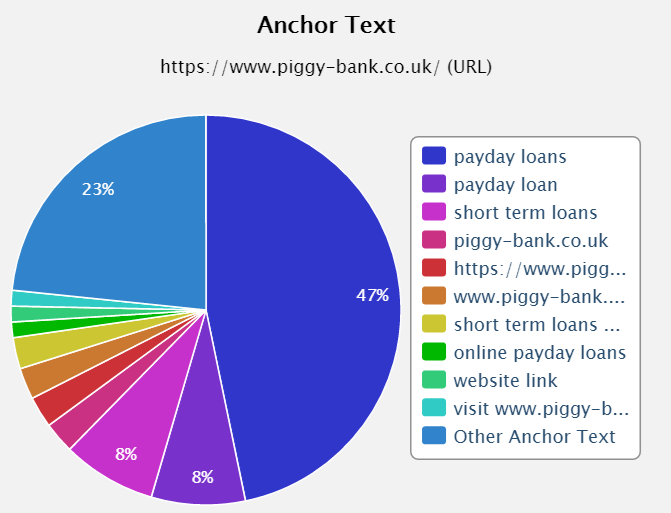 Your anchor text helps search engine understand what your site is about. If your backlink profile is filled with high quantities of the same keyword anchor texts, search engines like Google will presume you're intentionally trying to boost your rankings for that keyword. Google doesn't like that. It prefers variety. This is why you should avoid using the same keyword anchor texts all the time and dilute your anchor texts with other relevant text. 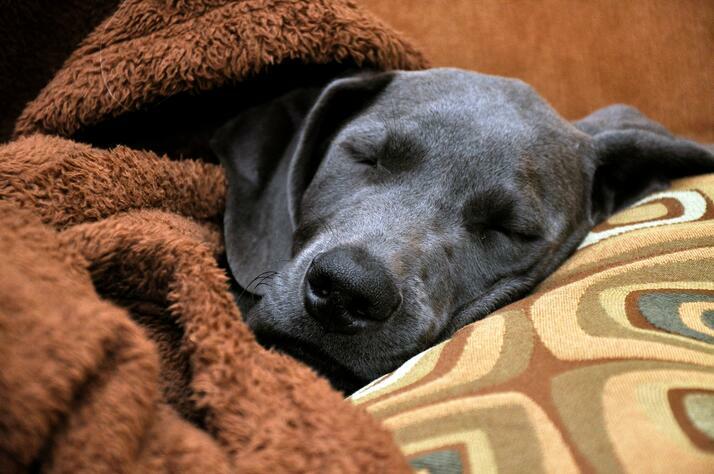 Lack of activity behind the scenes of your site can be detrimental to your DA. When I say this, I mean you haven't updated your site in a long time. There has been no blog posts in months. In fact, you have no recent content at all. Google has previously said that it will give higher rankings to sites that have relevant and helpful content. If the last time you wrote anything about your industry was in 2012, your site is going to be considered dated. And in most cases, out-of-date information isn't helpful. To fix this issue, you should be regularly writing fresh content onto your website. This is why blogs are so helpful. Writing regular posts encourages search engines to crawl your site more often and shows you have brand new and up-to-date information. Just like overusing the same keyword anchor texts, stuffing your site with the same keywords will have a detrimental effects on your DA. You should avoid doing this, it's a basic SEO rule. When writing page content and blog posts, you need to stick to using your keyword 2-5 times. Google will be able to tell what your site is about just by crawling through it, you don't need to fill as many keywords as you can. If you're not entirely sure if you're guilty of keyword stuffing, then here is how you can spot it and stop it. Your site speed is another ranking factor and it can affect your domain authority too. Sites that have too many high quality images, adverts, links and features that slows its load speed will likely lose higher rankings. People don't like slow websites and neither does Google. There are ways you can avoid damaging the speed of your site. Compress your images and any running files in the background. Don't over stuff your web pages with too many images and videos. Adverts can decrease your site speed too so avoid having lots of ads (too many adverts will make you site look spammy anyway). Search engines are always changing. Google, for example, is regularly releasing new updates to improve its usability. Last year, Google gave a deadline for all sites to be mobile friendly. And recently Google announced another mobile friendly announcement, saying mobile responsiveness is an important ranking factor for sites. It's important to keep up-to-date with latest search engine updates so your site is not penalised. Doing SEO on your site is not just one job, it needs tending to regularly to make sure everything is working properly. Your DA and rankings will suffer the consequences if your SEO is not managed effectively. 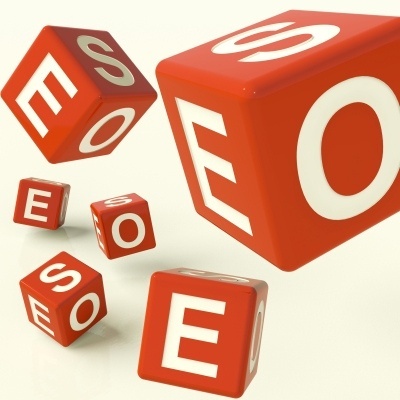 Consider getting the help of an SEO agency if you haven't got the time to maintain your SEO. Another SEO task you need to do. Spammy sites will regularly link to your site hoping to benefit their own rankings. This can be damaging to your DA. When Google penalises a site, they will look at other sites that website is linked to. For SEO and your DA, it's always better to keep your site as far away as possible from spammy sites. You should check your link profile and clean up any spammy site links. We've listed some quick and easy ways to improve your DA on your site.